The government program sometimes known as the Obama Mortgage is called Making Home Affordable. 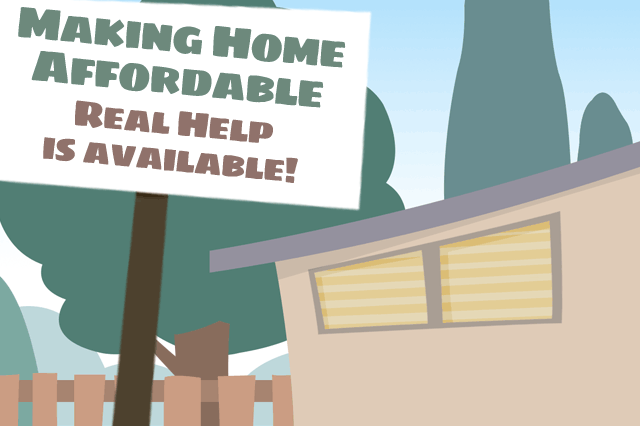 When going to the Making Home Affordable official site, you will find a variety of options designed to help depending on your circumstances. September 12, 2016 - The government program sometimes known as the Obama Mortgage is called Making Home Affordable. When going to the Making Home Affordable official site, you will find a variety of options designed to help depending on your circumstances. Some borrowers may only be eligible for certain types of assistance under this program depending on how quickly they act once they realize their mortgage payments could be in jeopardy. Those who don’t hesitate to reach out for help the moment financial difficulty begins are in the best position to keep and remain in their homes. Those who wait until they have fallen behind could learn they have fewer options available. It’s always best to explore your options before you miss a house payment. The Home Affordable Modification Program (HAMP) is an option available to borrowers until December 2016 (at the time of this writing). This option is intended “to lower your monthly mortgage payments, making them more affordable and sustainable for the long-term” according to the Making Home Affordable official site. Homeowners may find savings of approximately $500 a month under HAMP depending on circumstances. To qualify for HAMP you must be struggling due to a financial hardship, and have purchased your property within a specific time frame. According to the official site, borrowers qualify if “...you obtained your mortgage on or before January 1, 2009”. The property in question must not be condemned, the borrower must be delinquent or in danger of becoming delinquent, and “You owe up to $729,750 on your primary residence or one-to-four unit rental property (loan limits are higher for two- to four-unit properties)”. This program depends on the participation of mortgage companies. Not all borrowers have loans owned by participating mortgage lenders, so the first step is to determine whether or not your loan is owned by a mortgagee willing to work with you under HAMP. Those who qualify for HAMP and have loans owned by a participating lender may also be eligible for additional help. According to the Making Home Affordable official site, “If you qualify for HAMP and you have a second mortgage, you may also qualify for MHA's Second Lien Modification Program”. Speak to your loan officer about the possibility of using HAMP to avoid foreclosure and stay in your home.